​Corporate services always need to be swift. If you are on a business trip, a small delay can lead to the failure of a business. Thus, with this initiative in mind we have created San Jose Limos. We make sure that our chauffeurs are never late to pick a client. So, we reach the spot 15 minutes early to avoid delay. Our mission is to deliver seamless ground transportation for travel arrangers as well as for their business travelers. We are a reliable partner you can trust on for consistent services not only in home but abroad. San Jose Limos is available 24/7 for the clients through phone. We maintain an organized chauffer service. 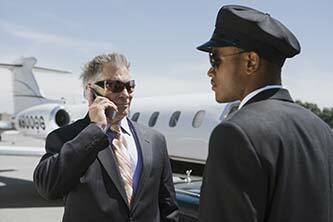 Our luxury fleet services are at hand to pick you from airports and let you reach your destination and vice versa. We carry out a complete check of the vehicle after your journey with us is over. Equipped with all modern amenities like free wifi, GPS tracking devices, etc., our chauffeurs are the best to travel with. We make sure that the vehicles you choose to travel with are spotless and well maintained and get them serviced regularly to ensure safety when you are with us. If you are going on a business trip soon, book your schedules with us now, to avoid last minute rush! Clean and well maintained vehicles. Make your trips stress free. All of our vehicles are equipped with GPS tracking devices. Chauffeurs always arrive 15 minutes early for all pickups. Chauffeurs always inspect the vehicle inside and out after the completion of every trip.